Moonlight glistening on the calm waters of the Menai Strait. As I watched from our kitchen, the scene was so absolutely beautiful, it dawned on me to take a photograph! Out on our terrace I took just one shot which you can see below. I stood there very still, watching the moon quietly. We are accustomed to stunning views from nearly every room in Coed y Berclas house. Occasionally we see a special, infrequently seen, image which stands out – like this moonlit night. The combination of full moon, clear sky, calm water and the lovely silvery reflection, definitely qualified as ‘special’. 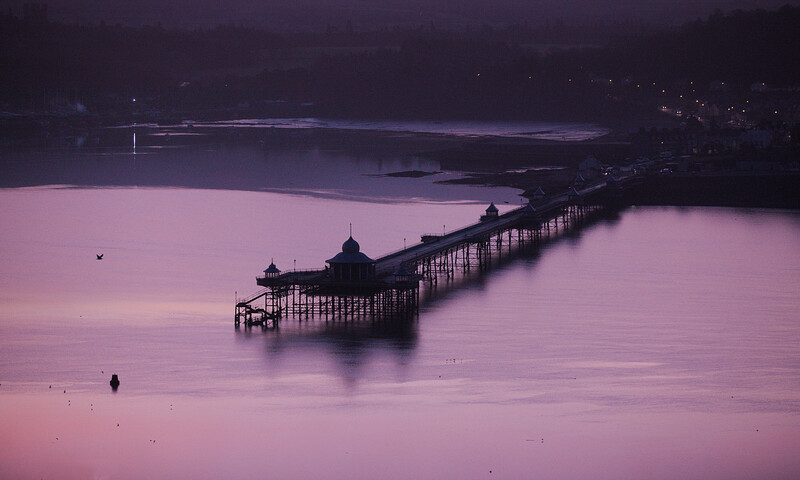 The atmosphere we enjoy is affected by weather, time of day, state of tide and the magical water of the Menai Strait. In different seasons we step out onto the terrace listening to the birds, especially at this time of year. The dawn chorus begins very early in the day, reaches a crescendo, and doesn’t fade until daylight is done. In the summer, we see boats of all types and sizes, drifting, sailing, fishing or racing, so embroidering the scene on the water. 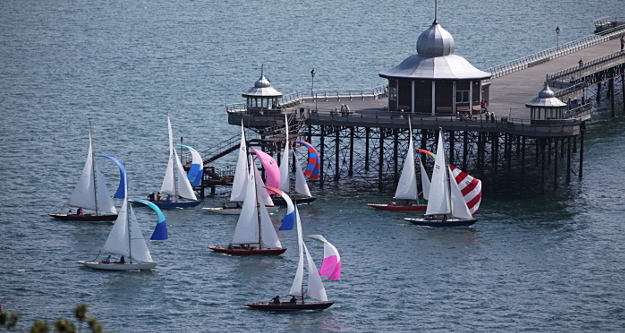 Members of the Royal Anglesey Yacht Club in Beaumaris sail and race their Fifes, in mid summer. The Fifes are locally made boats thus are excellent sailers for the Menai Strait. Here’s a shot of them passing Bangor Pier. We often eat meals out on our terrace, gazing at Snowdonia beyond the waters of the Menai Strait. We have been found sitting out there on blue sky days in January because its been so beautiful and warm. However, none of this is relevant to last night, because the birds were quiet, and there were no boats moving. 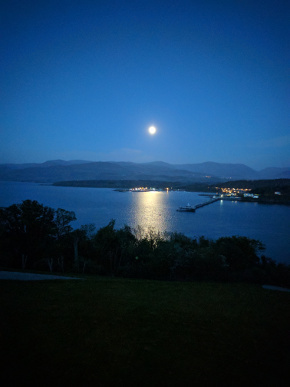 It felt as though everything was at peace while the beautiful full moon rose in that wonderfully clear sky, casting her gentle silver reflection on the calm waters of the Menai Strait. It felt as though it was all just for me.